I have a lot of favorite celebrity couples, most of whom I wish would adopt me. Ellen DeGeneres and Portia DeRossi, Kristen Bell and Dax Shepard, Prince William and Kate Middleton — I'm obsessed with them all. 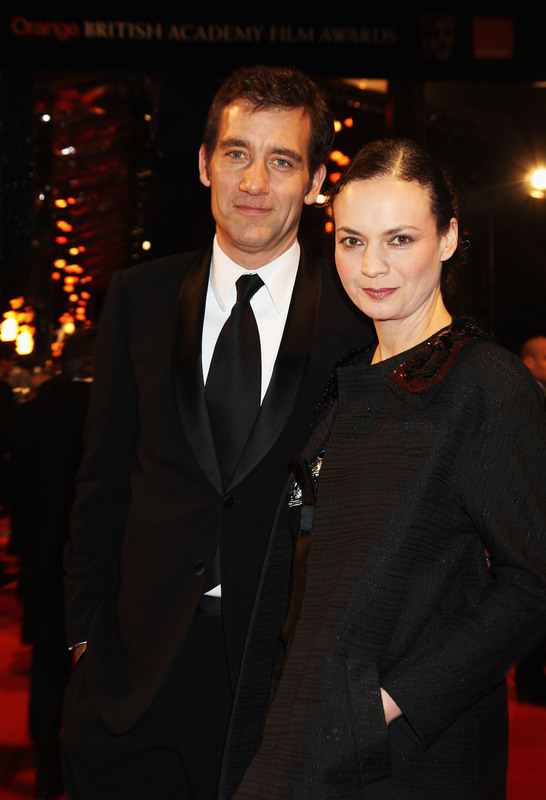 But after realizing how adorable Clive Owen and his wife, Sarah Jane-Fenton, are, I may have to add a new couple to my list. Although their relationship is far more low-key than the more high profile ones I've listed, a little research has led me to the discovery that Owen's wife is actually adorable. But a lot of people don't realize the Golden Globes nominated actor is married, let alone to a lady who is pretty impressive in her own right. So who is Sarah-Jane Fenton? For starters, she had a pretty busy acting career of her own in the late '80s and early '90s, appearing in movies like The Bachelor and A Good Man in Africa. Then, she and Owen met when playing Romeo and Juliet at The Royal Academy of Dramatic Art in London. They married in 1995, and the rest is history. Today, they have two teenage daughters: Hannah and Eve. In the past, Owen has said he slowed down his career when his kids were younger so he could spend more time fulfilling his fatherly duties and developing a relationship with them. How sweet! I joined the department at HSMC in January 2012 having previously worked as the Chief Operating Officer at Kids Company, a children’s charity serving vulnerable children and young people in London. I have previously worked in a range of roles including as a research assistant within the third sector, and whilst studying for my MPhil, as a library assistant at the Bodleian. Safe to say that Fenton is incredibly intelligent, right? And I love the fact that she's been working with children and working to bridge the many gaps that are involved in mental health treatment. Her husband might be off making movies, but Fenton's working toward changing the world. My relationship is everything to me. I'm often doing incredibly exciting plays and films, but that would mean nothing if I were floating around and didn't have a solid family behind me. Sarah-Jane is an absolute diamond.